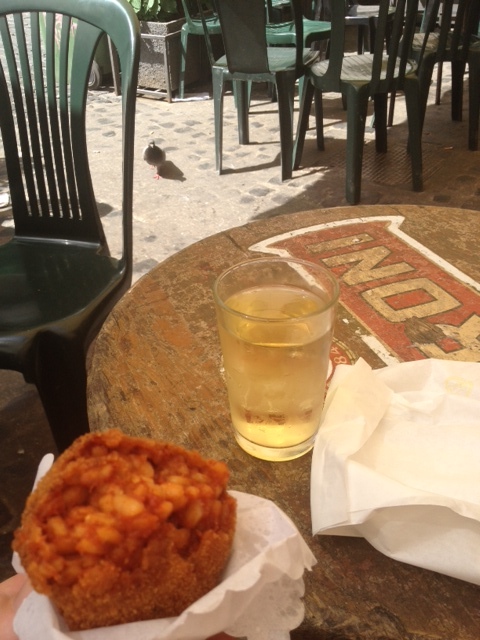 Below are a few suggestions of different foods that you should try while in Rome. This is just the tip of the iceberg in a city with a deep and delicious food culture, but it is a start! 1. 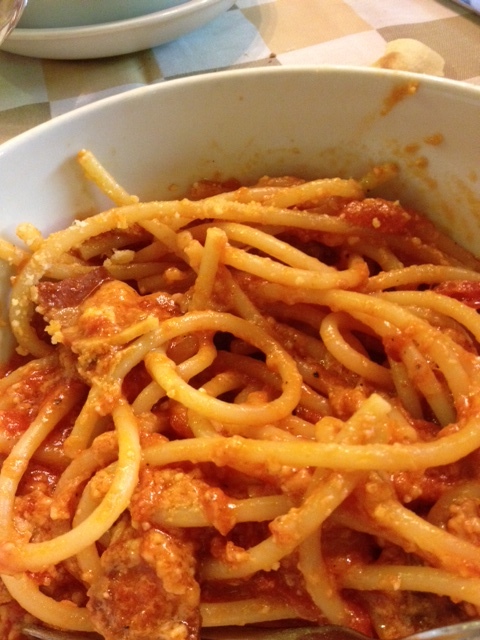 Pasta all’amatriciana – Typically served with bucatini (shown in photo below), a tomato sauce with guanciale (pig cheek) and pecorino cheese. 2. Pizza – This is a no brainer, of course! 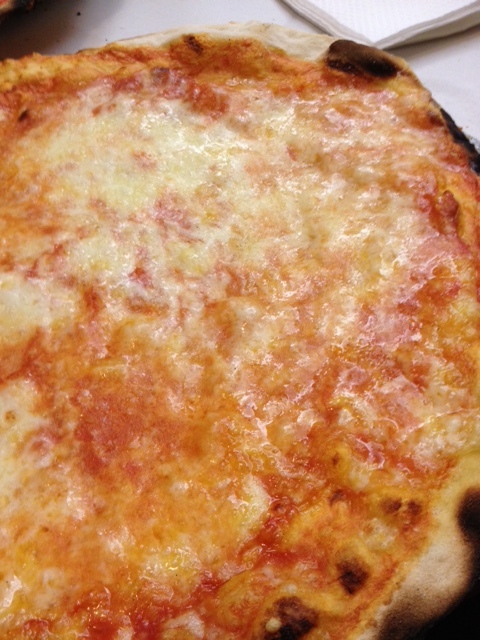 Roman style pizza is thin and toppings are simple and classic. N.B. Most traditional pizzerie are open only for dinner. 3. 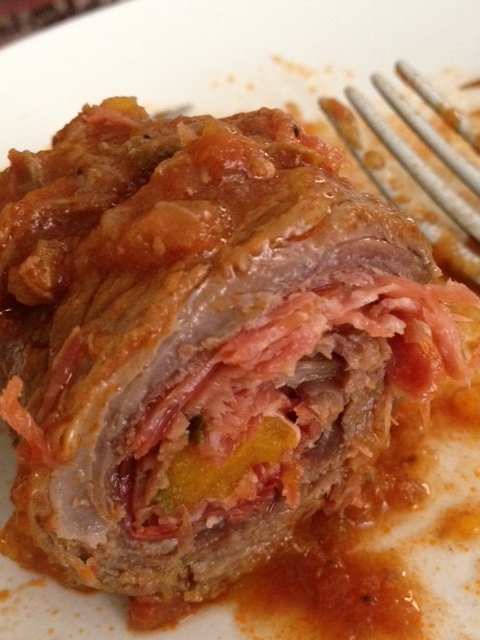 Involtini al Sugo – This is horribly translated as boiled rolled meat in many trattorie, but it is so much better than how it sounds! This is a dish of tender beef, filled with prosciutto, carrot, celery – slowly cooked in a tomato sauce. The sugo left over can also be used for a pasta dish. 4. Supplì – These tasty little fried treats are great for a starter in a pizzeria or also can be a nice snack to hold you over before dinner. Supplì are fried balls of rice, filled with mozzarella, tomato sauce, and ground beef. 5. Le Zucchine Romanesche – When in season, these veggies are not only beautiful to look at, but they are sweet and full of flavor. 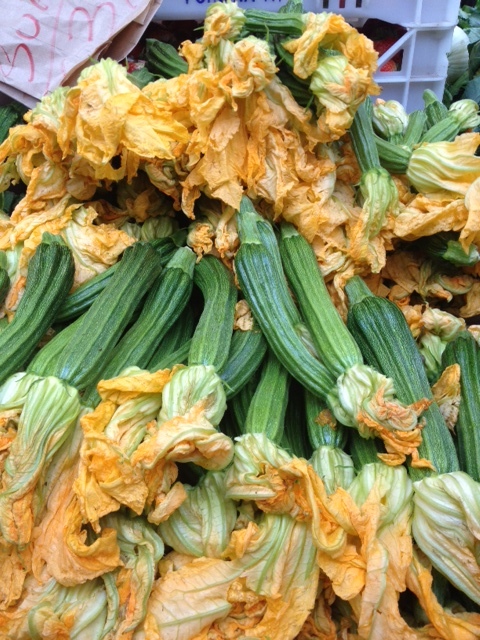 The flowers of these lovelies are also eaten – Fiori di zucca (zucchini flowers, deep fried, stuffed with mozzarella, and anchovies)and can be found in classic pizzerie or trattorie.